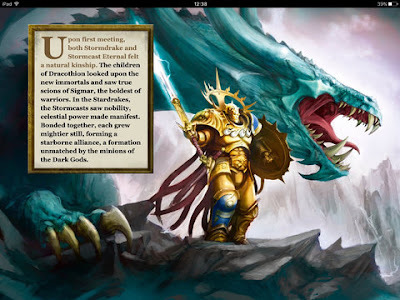 Stormcast Eternals Extremis is the first supplemental Battletome for the Stormcast, introducing a brand new fighting chamber to the battlefields of the Mortal Realms. As a Stormcast fan I was relatively excited for this, so how did it fare? The original Stormcast Battletome was a rather lengthy book, essentially the equivalent to an Army Book from 8th edition. It contained everything you needed to know about Sigmar's warriors, a bunch of warscrolls, and a bunch of battalions. Extremis is more of a mini army book, focusing in on one wing of the larger fighting force. It can be used on its own like all of the Battletomes, but it is really better suited to be used in support of or conjunction with another force. The page count reflects this, being much thinner then the original Stormcast book, but luckily the price also reflects this, coming in at only $35. For the amount of content and the quality of that content I think that's a pretty fair price. The cover of the book is okay. It's not my favorite cover so far, but it's not horrible either. It's done in that slightly cartoony style we have been seeing more of. 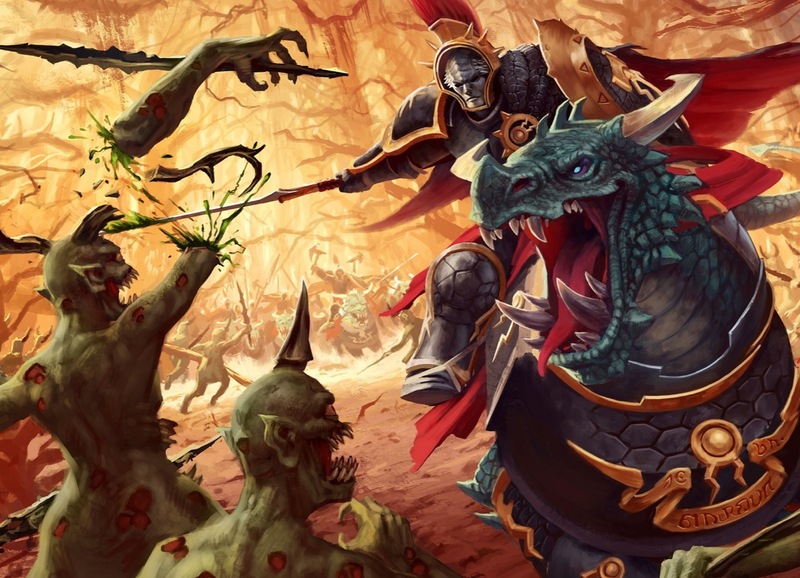 Personally I would have preferred something more along the lines of the Seraphon or Fyreslayer cover aesthetically. It just helps make the world more real for me. 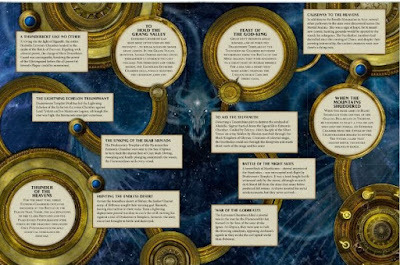 The book itself opens up with the lore behind the Extremis Chamber. 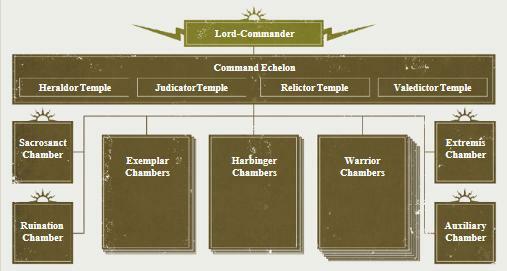 The chamber was actually introduced to us back in the original book in the diagram of the organization of a Stormhost. 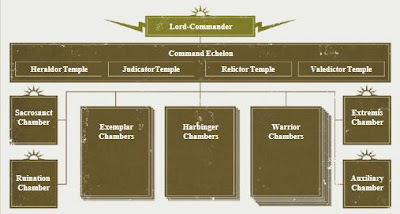 There were four chambers listed that had not been explored yet, saying Sigmar was holding them in reserve for unknown reasons. Well, now it looks like the first of those chambers has been opened to respond to the growing threat of Chaos and Archaon in particular. 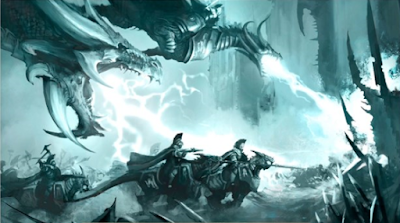 The Extremis Chamber consists of the Dracothian Guard, essentially Dracoth riding Stormcast knights, and the Drakesworn Templars, the uber-elite riding massive Stardrakes, or dragons. It's basically what I have been waiting for since I first saw the Celestant on a Dracoth from the starter set. The lore explains how the Stormcast find and create a bond with their mounts. This is somewhat murky as a lot of the lore has been, seemingly half allegory and half truth. They have to search for their Dracoths in the high mountains of Azyr, just below the heavens. Some of them may find a Soul Gem, which contains the essence of a powerful Stardrake, which they then have to take back up to high Azyr to release the dragon within. It all works and fits with what we know about the Stormcast so far. One interesting tidbit of information for me was the fact that members of other Stormhosts who have already died in battle and are deemed worthy enough are reforged into members of an Extremis Chamber. Promotion through death, that's pretty tough. After the main chunk of lore it goes into more detail on each unit, similar to other Battletomes. This also has some good artwork for each unit. The artwork overall for the Battletome is pretty good, not the best I have seen, but still inspiring. There is a two page spread with four different illustrations on it that is awesome and super evocative of the older GW art styles. There is also the standard color scheme illustrations, showing you a few alternate ways to paint your models. I found this to be even more helpful than normal since it allowed me to look at some different skin tones for the Dracoths. I'm currently debating on how to paint my own right now, so the more examples the better. There are several pages of painted models, including the 'Eavy Metal ones and the standard studio army ones. Again, this was really helpful and inspiring to me solely for the fact of showing me different ways to paint the Dracoths. I really liked the patterns they used on a lot of the heads and it has gotten me thinking about doing something similar on my own. Some of the other Stormhosts looked really cool too, particularly the Knights Excelsior and the lone Celestial Vindicator. The battleplans in this book are unique in that they are actually a pair of linked scenarios. The outcome of the first one affects the second. The battleplan section opens up with the story linked to it, briefly recapping the Realmgate Wars so far. We then move onto Lord-Celestant Imperius, the leader of the Hammers of Sigmar's most prominent Extremis Chamber and the first to be ready for war. Think of him as essentially the Vandus Hammerhand of the Extremis Chambers. There is a realmgate in Aqshy known as Sigmar's Gate, the first gate Sigmar used to enter the Mortal Realms. A massive city had been built up around it during the Age of Myth, venerating the God-King. It was one of the most prosperous in the realms, so of course once Chaos invaded it became a prime target. Now a ruin and firmly within Khorne's grasp, Imperius has been tasked with retaking the gate. It's a pretty awesome battle and definitely worth the read. The battleplan linked to it is actually two separate battles meant to be fought back to back. Any surviving models from the first battle start out in the second one with all of the wounds and casualties they ended the last one with. Whoever won the first battle also affects the outcome of the second one. 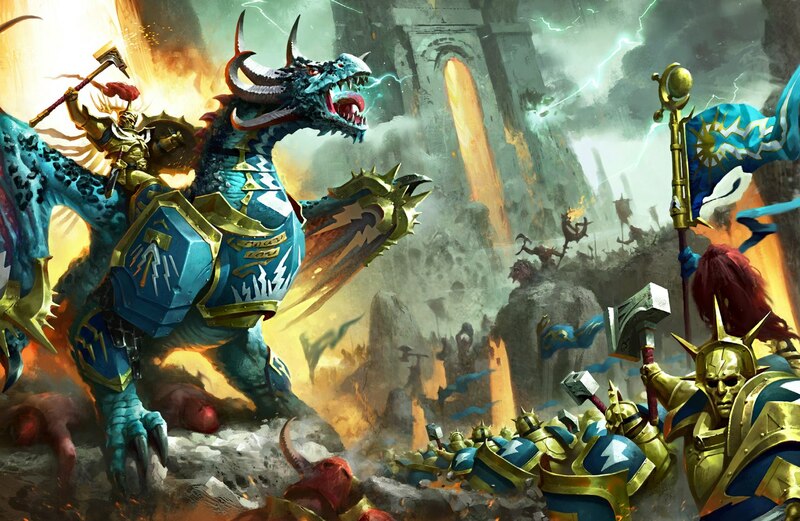 For example, if the Stormcast lost the first battle, the most they can hope for overall is a minor victory. It's a cool mechanic and I hope we see more like this in the future. I know I have said this in past reviews, especially in the Fyreslayer and Balance of Power books, but I really love how creative GW is getting with their battleplans. It's injecting some much needed innovation into the scenario scene. After the battleplans there is the timeline that we have all come to love in AoS. Once again it provides a bunch of little snippets of information that will help inspire you in your own projects. This all wraps up with the Warscrolls and Battalions. There are seven warscrolls in here. 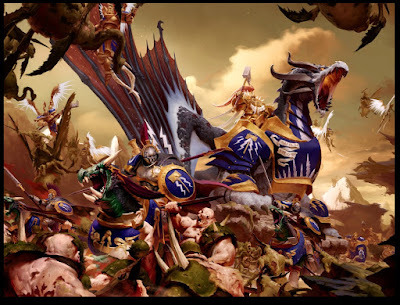 The Lord-Celestant on Stardrake, the Drakesworn Templar, the Lord-Celestant on Dracoth, and the four different flavors of Dracoth riders. 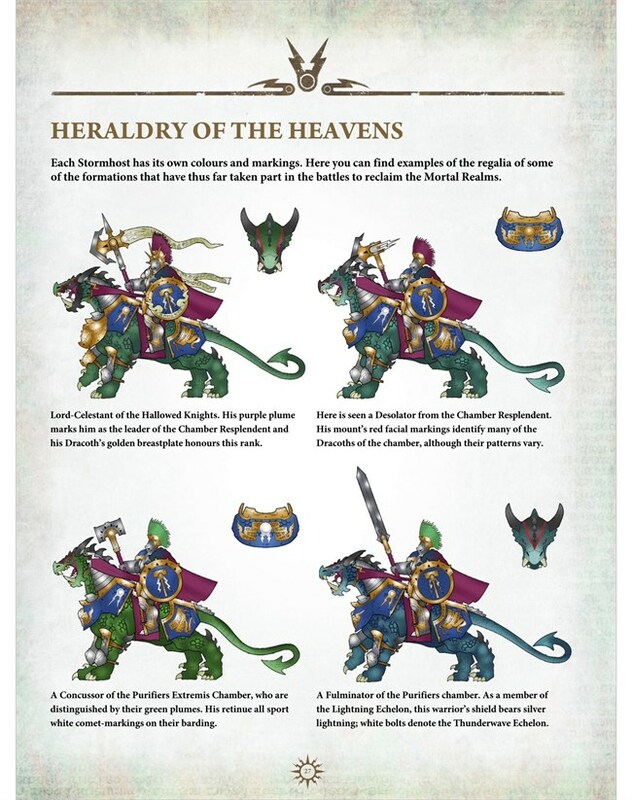 The Celestant on Dracoth essentially replaces the one from the original Stormcast book, having all of the same abilities but more weapon options. Unfortunately they forgot to print the rules for the shield you can equip him with, but they have updated it in the App version. They are exactly the same as the version for the Stardrake Celestant, so you can always just look at that one. The Stardrakes have some pretty cool rules, including a thunder storm breath attack and the ability to eat a model whole. 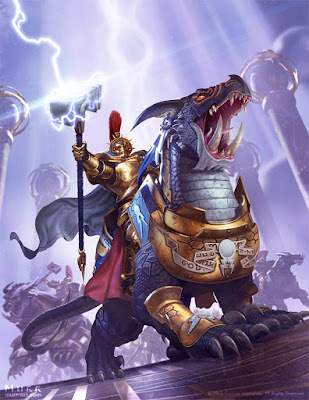 The Dracothian Guard are all pretty good, with the Tempestors being the weakest of the bunch, but the coolest looking model in my opinion. They are still worth taking at least one of them for their disrupt ability. I won't go over the rules anymore here since you can find them online or in the App for free. The battalions are meant to reflect the organization of the Extremis Chamber. One consists entirely of three Drakesworn Templars which I don't expect to see fielded very often, mostly due to cost. The main two reflect they way the Dracothian Guard fight. One is the Lightning Echelon, which consists of the Tempestors and the Fulminators. This is meant to break the enemy lines which is reflected nicely in its abilities. The other is the Thunder Echelon, consisting of the Concussors and Desolators, who follow behind the Lightning Echelon and deliver the killing blow. The last battalion is the Extremis Chamber battalion, combining all of the other battalions together plus a Lord-Celestant. This is another one I doubt we will see very often, although it's nice to have the option. I do think we will see quite a few of the Dracothian Guard battalions though and I will probably build my collection with one of them in mind. Overall this was a really great book for the price and a fantastic addition to the Stormcast range. I had been waiting for some sort of Dracoth knights for awhile now, so it's nice to see that hope finally pay off. 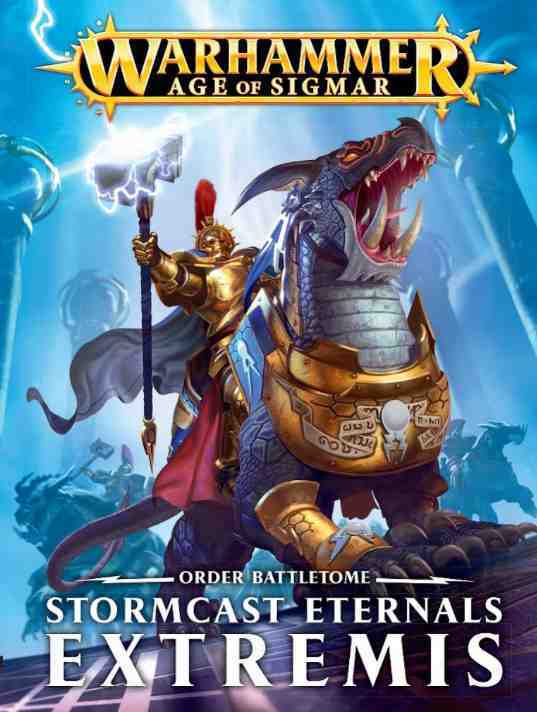 If you collect Stormcast this is pretty much a must buy, although you could get the Order: Grand Alliance book instead if you just want the rules and a little bit of the fluff. If you really like the lore though, like I do, then I would recommend picking this up. I am excited to see what the remaining three chambers hold for us, although I hope they space them out over a year or two.